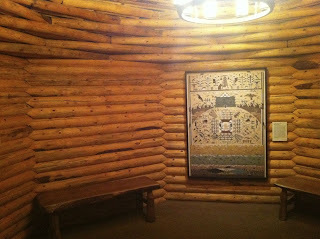 Shedman saw an example in the flesh - well, wood - on a recent visit to the Heard Museum in Phoenix Arizona. 'This hogan is referred to as a female hogan because it simulates the roundness of the female body of Mother Earth. While most Navajo families do not reside in hogans today, their modern homes almost always include a hogan near the main house. Hogans are used for ceremonies that are still practised by Navajo people including the Kinaaald, a coming of age ceremony for young Navajo woman. Other family members spend quiet time in the hogan as a way to reconnect themselves with Navajo teachings and to remind themselves from where they have come.' Interpretation panel at the Heard Museum, Phoenix. The hogan is considered sacred to those who practice the Navajo religion. The religious song "The Blessingway" describes the first hogan as being built by Coyote with help from beavers to be a house for First Man, First Woman, and Talking God. The Beaver People gave Coyote logs and instructions on how to build the first hogan, now known as a "forked stick" or "male" hogan, which resembles a pyramid with five triangular faces. Earth may fill the spaces between the framework logs, hiding the five faceted shape and creating thick, winter-protective walls. The "forked stick" or "male" Hogan contains a vestibule in the front and was used only for sacred or private ceremonies. 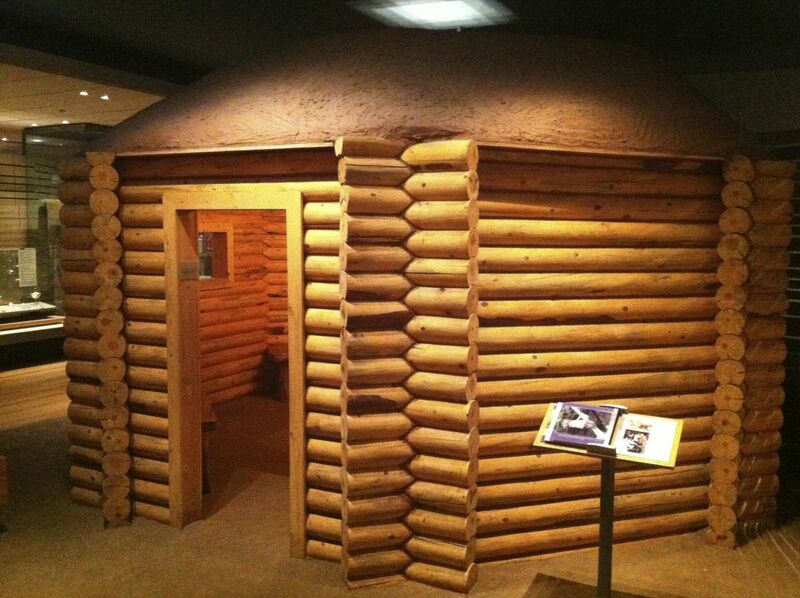 The "circular" or "female" Hogan , the family home for the Navajo people, is much larger and does not contain a vestibule. In it, the children play, the women cook, weave, talk, and entertain and men tell jokes and stories. Navajos made their hogans in this fashion until the 1900s, when they started to make them in hexagonal and octagonal shapes. The change in shape may have been due to the arrival of the railroad. 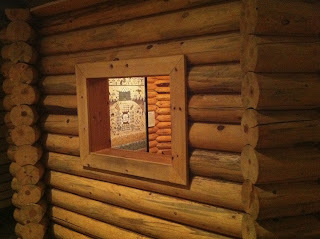 A supply of wooden cross-ties, which could be laid horizontally to form walls of a larger, taller home, allowed the retention of the "female" hogan shape but with more interior room. The doorways of the hogans always face east. Many cultural taboos are associated with the hogan and its use. Should a death occur in the structure, the body is either buried in the hogan with the entry sealed to warn others away, or the deceased is extracted through a hole knocked in the north side of the structure and it is abandoned and often burned. A hogan may also become taboo for further use if lightning strikes near the structure or a bear rubs against it. 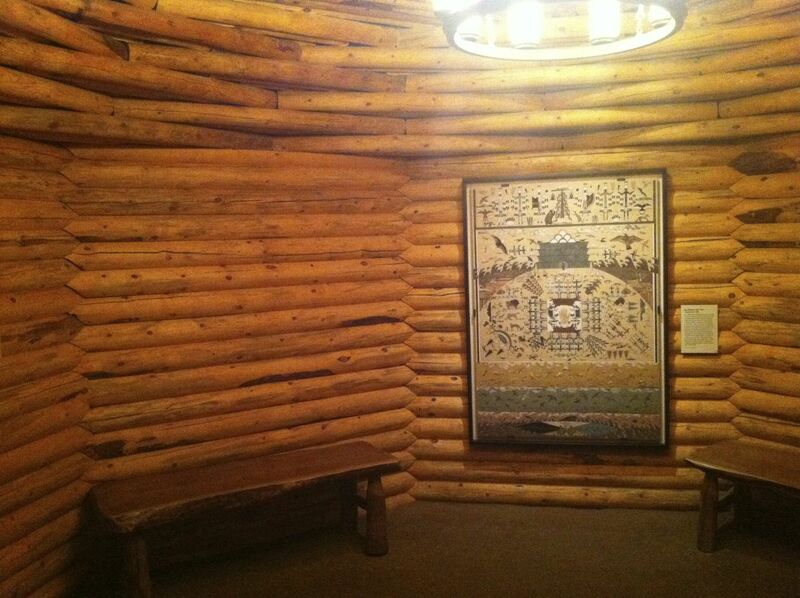 Wood from such structures is never reused for any other purpose by a Navajo. 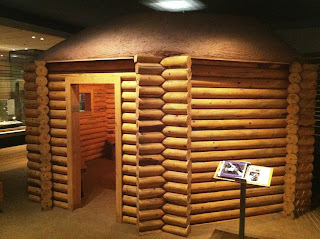 Today, while some older hogans are still used as dwellings and others are maintained for ceremonial purposes, new hogans are rarely intended as family dwellings. Traditional structured hogan is also considered a pioneer energy efficient home. Using packed mud against the entire wood structure, the home was kept cooled by natural air ventilation and water sprinkled on the dirt ground inside. During the winter, the fireplace kept the inside warm for a long period of time and into the night.